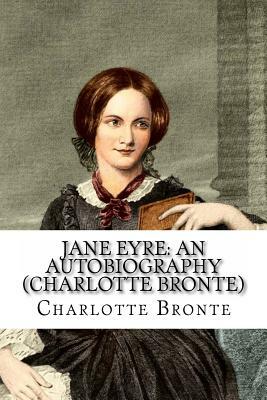 Jane Eyre An Autobiography by Charlotte Bronte COMPLETE AND ORIGINAL The novel is a first-person narrative from the perspective of the title character. The novel's setting is somewhere in the north of England, during the reign of George III (1760-1820), and goes through five distinct stages: Jane's childhood at Gateshead Hall, where she is emotionally and physically abused by her aunt and cousins; her education at Lowood School, where she gains friends and role models but suffers privations and oppression; her time as governess at Thornfield Hall, where she falls in love with her Byronic employer, Edward Rochester; her time with the Rivers family, during which her earnest but cold clergyman cousin, St. John Rivers, proposes to her; and her reunion with, and marriage to, her beloved Rochester. During these sections the novel provides perspectives on a number of important social issues and ideas, many of which are critical of the status quo (see the Themes section below). Literary critic Jerome Beaty opines that the close first person perspective leaves the reader "too uncritically accepting of her worldview," and often leads reading and conversation about the novel towards supporting Jane, regardless of how irregular her ideas or perspectives are. Jane Eyre is divided into 38 chapters, and most editions are at least 400 pages long. The original publication was in three volumes, comprising chapters 1 to 15, 16 to 26, and 27 to 38; this was a common publishing format during the 19th century.